Of the two most recent interviews we have completed, one focused on the history of the BADA itself, in our interview with Mark Dodgson, Secretary General of the BADA. 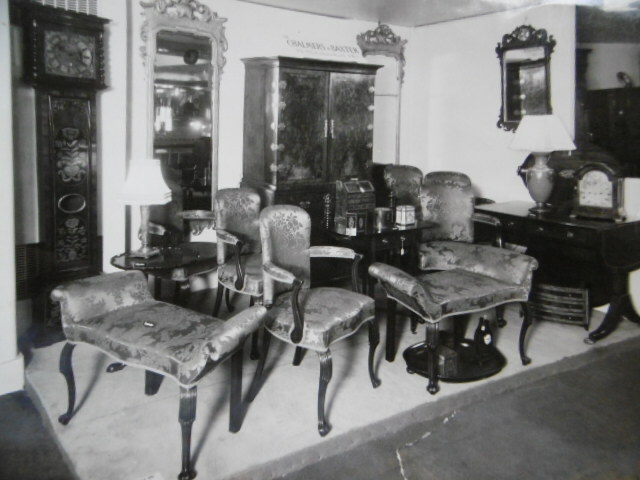 The other interview, with the former antique dealer, agent, Forensic Appraiser and Expert Witness, Nicholas Somers, allowed us to capture some of Nicholas’ memories of the history of that most famous of antique furniture dealers, M. Harris & Sons, amongst many other things. Mark Dodgson, Sec Gen of the BADA. Photo courtesy of the BADA. 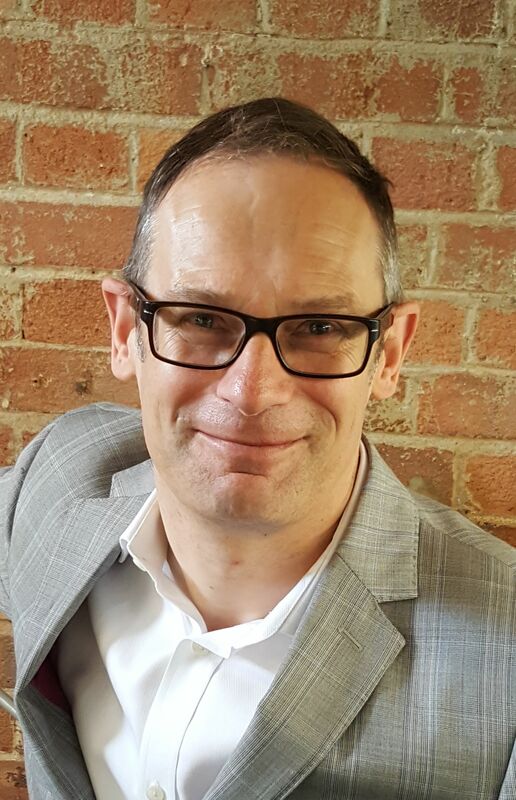 Mark Dodgson started at the BADA in 1989, as an assistant to the then Secretary General, Elaine Dean, before succeeding Elaine as Secretary General in 2008. In this engaging interview Mark tells us about the history of the BADA – which was founded in 1918, and has the exciting prospect of their centenary celebrations coming up in 2018. Mark outlined the wide range of activities and projects that the BADA have been involved with over the years – as many of you will know, the BADA was initially founded by members of the antique trade in 1918 to lobby Government as a response to the proposed introduction of the so-called ‘luxury tax’, and the organisation has continued that tradition. The BADA has been a central player in many of the most high-profile issues affecting the antique trade, from the introduction of Valued Added Tax and ‘margin scheme’ in the 1970s, the (still contentious) issue of the introduction of auction sales buyers premium in the 1970s, to the lively debates surrounding the restrictions on the sales of elephant ivory – currently animating (excuse the pun!) the art world at present. Mark also talked about his role as Secretary of the Art Trade Liaisons Committee (The British Art Market Federation), and the history of the Grosvenor House Antiques Fair (founded in 1934 as an initiative by some key BADA members), as well as the more recent BADA Fair (established in 1991) and the BADA relationship with, and support for, the conservation courses at West Dean College. With the centenary of the BADA coming up in 2018, I’m sure the interview will be a valuable resource in those celebrations. Our other interview in the BADA Voices series was with the retired antique dealer, agent, auctioneer, and Expert Witness, Nicholas Somers. Nicholas Somers, at his home in London. Photo Antique Dealer project, University of Leeds, 2016. Richard Grose, 8 Exhibition Road, London, c.1950. Nicholas, currently the Master of the Worshipful Company of Turners (he has also been collecting treen for decades!) and has over 50 years experience of the antique trade. Nicholas started his career in the world of antiques with the dealer Paul Smith (a BADA member) in 1965, before moving to work for Richard Grose at Exhibition Road in London. 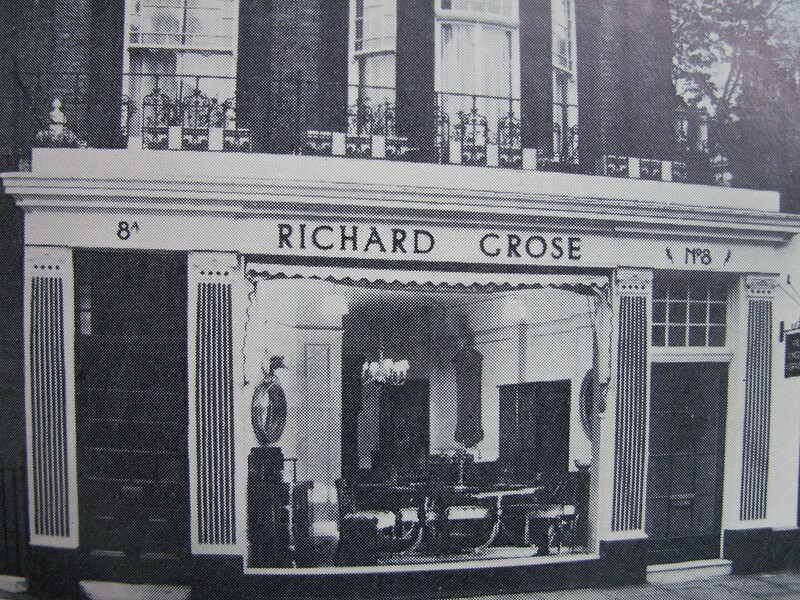 In 1967 Nicholas left Richard Grose and became one of the sales team at the world-famous antique furniture dealers M. Harris & Sons, staying with Harris until 1971, when he set up his own antiques business in Worcester – ‘Somers at the Sign of the Chair’. Nicolas had some fascinating memories of working at Moss Harris – with some wonderfully evocative descriptions of the showrooms – the business was already contracting somewhat when Nicholas joined Robert Harris in 1967, and, as Nicholas tells us, the showrooms had been reduced by half, but it still had 80 rooms packed with museum-quality English furniture and objects when he joined the firm. 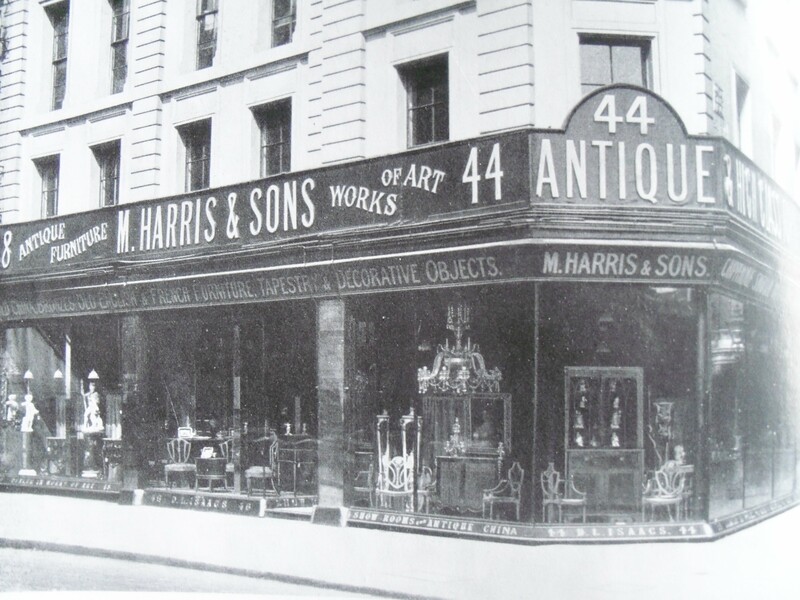 Here is the gallery of Moss Harris, in New Oxford Street, London, in the early 1920s, soon after Moss Harris had taken over the firm of D.L. Isaacs, who established the business in 1868. M. Harris & Sons, New Oxford Street, London, c.1924. Nicholas has an exceptionally wide ranging experience of the antique and art world, having been part of the management buy-out at the auctioneers Bearnes in Torquay, from the then parent company Sotheby’s, in 1981, and as a ‘forensic appraiser’ and Expert Witness in legal disputes in the art world. Both interviews make rich contributions to the growing archive of antique trade interviews that we are assembling as part of the Antique dealer project. We did our first in the ‘BADA Voices’ oral history interviews the other week. As you may have heard, or read in the Antiques Trade Gazette, the British Antiques Dealers’ Association have very generously sponsored the capture of a series of new oral history interviews, as a discrete extension to the Oral History research for the Antique Dealers project. Thank you again to the BADA for this generous support. The first in the new series of ‘BADA Voices’ was with Peter Francis Cheek, formerly of ‘Peter Francis Antiques’. Peter is now 94 years of age, and it was a fantastic opportunity to capture his reflections on more than 60 years in the antique trade. 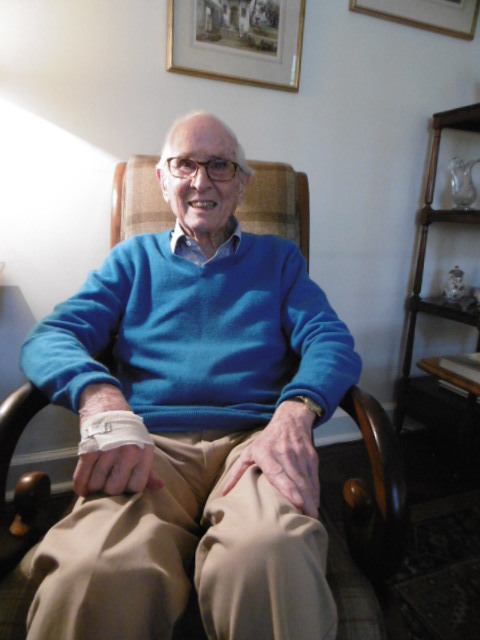 Peter Francis Cheek, at his London home, in 2016. Peter started his life as an antiques dealer in 1949, following service in the army in World War II, after training as a carpenter in the late 1930s, and working for his father in his father’s second-hand and antique furniture business (his father’s business was called W. Johnson, after the previous owner of the firm) in the period 1947-1949. His father, interestingly, had been a Foreman for the firm of Howard & Sons, before setting up on his own in the late 1920s. In this very engaging interview, Peter reflects on the changes to the antiques trade, and his experiences on the vetting committees at the Grosvenor House Antiques Fair during the 1980s, and as a member of the review committee for the export of antiques for the BADA during 1972-2000. And here is Peter’s stand at the 1984 Grosvenor House Antiques Fair. 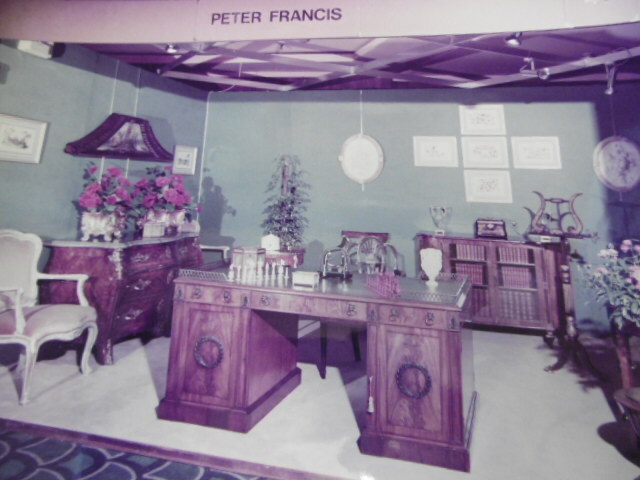 Peter Francis’ Stand at Grosvenor House 1984. Courtesy of Peter Cheek. Peter’s first shop was in Bowes Park, North London, before he purchased his father’s shop in Winchmore Hill (North London) – and as many of you will know, Peter Francis were located in Beauchamp Place, SW3 for 25 years, from 1954 until 1979, when Peter moved the business to 26 Museum Street, the former home of the equally well-known antique dealers, ‘Cameo Corner’ – indeed, it’s quite curious, although obviously understandable, how many antique dealers move into premises formerly occupied by other dealers – Peter’s shop in Beauchamp Place, for example, was also the former shop of the dealer Josephine Grahame-Ballin, who also had a shop in St. Albans. 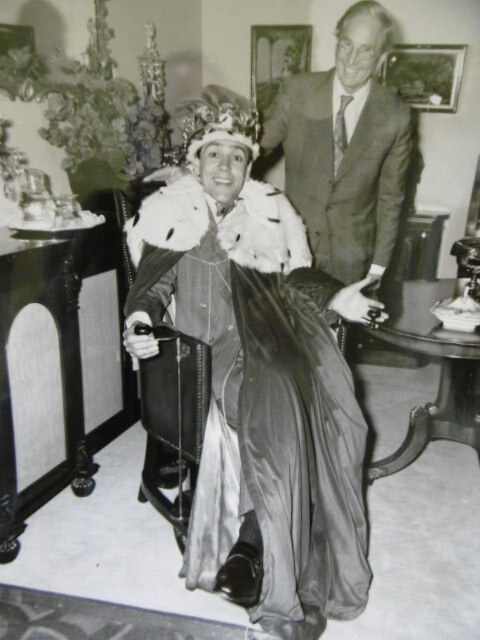 Peter Francis, with Robert Lindsay at the GH Antiques Fair 1985. Copyright untraced. Courtesy of Peter Cheek. As with all of our Oral History interviews, including these new ‘BADA Voices’ extensions, our interview with Peter Cheek will appear on the Antique dealer Research project website in due course. 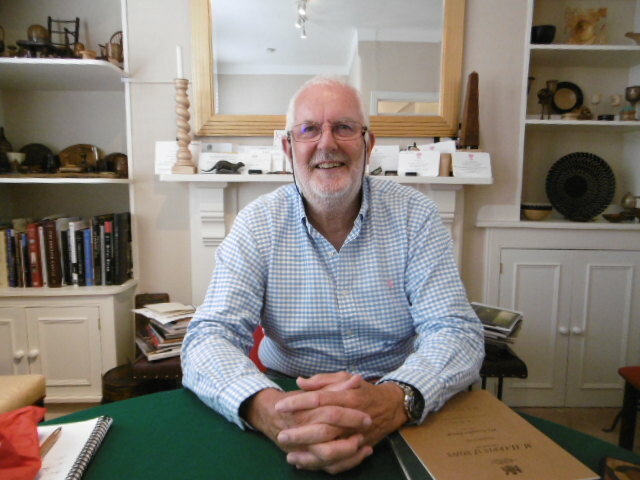 Our busy schedule of Oral History interviews continues apace this week – on Monday 16th August we interviewed Gary Baxter of the well-known Antique English Furniture specialist dealers H.C. Baxter & Sons. In an absolutely exemplary interview, full of rich historical detail, Gary told us about the beginnings of H.C. Baxter & Sons, established in the late 1920s in Chelsea, London. 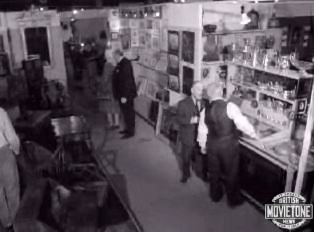 Here’s Gary in his new shop in Lewes, East Sussex, which he now shares with his sister. Gary Baxter, in Lewes, East Sussex, 2015. Gary is one of the last in a generation and tradition of antique dealers that stretches back into the opening decades of the 20th century – something that the current research project is keen to map and investigate. H.C.M.V.J. 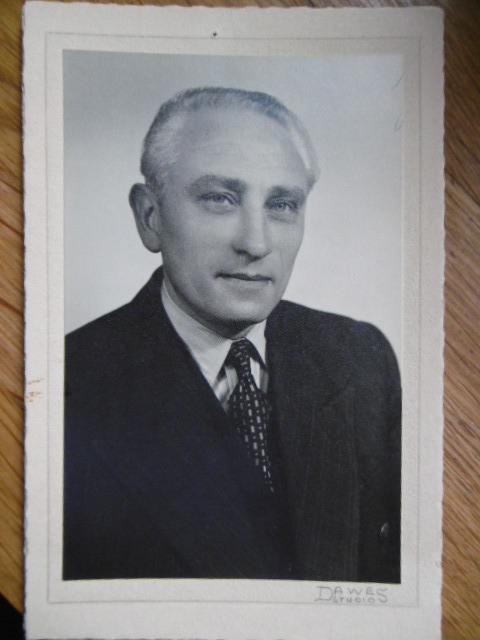 Baxter, c.1950s. Photograph courtesy and copyright of Gary Baxter. Chalmers & Baxter at Grosvenor House Antiques Fair, 1934. Photograph courtesy and copyright Gary Baxter. Maude, who was, Gary tells us, much more interested in antique jewellery, opened her own separate antique jewellery shop in Knightsbridge by the mid 1930s, leaving Horace in the antique shop in Fulham Road, London. Horace was joined in the business by his wife (Gary’s grandmother) Florence Ann Baxter, and later by Gary’s father, Terence Baxter, and his uncle, Roy, before Gary joined the business aged 17 in 1978. In an interview full of absolutely fascinating detail (Gary should certainly have been an historian!) 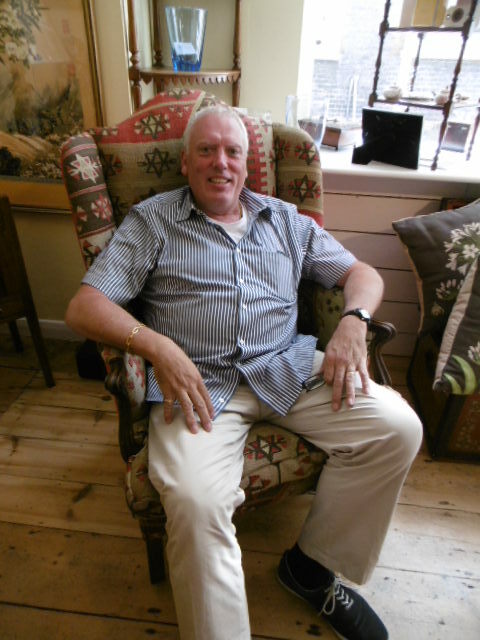 Gary told us about his memories of being taken around the antique shops and auction rooms of Brighton in the early 1960s, and of the extensive buying trips undertaken by his grandfather and father as they sought antique furniture for their dealer customers in London. H. C. Baxter, as many of you will know, were one of the leading trade suppliers of fine quality English 18th and early 19th century antique furniture during the second half of the 20th century. In our interview, lasting over 2 hours (thanks again Gary for your patience! ), Gary described the structure of the antique trade and how it operated, changed, and declined during the course of the late 20th century – the interview will be of considerable interest to our research project, as well as being an exceptional resource for future historians of this fascinating cultural phenomena. When I think of my time in the trade and the variety of experiences that have left their mark over the years, I might picture myself browsing in a newly discovered shop in unfamiliar territory; probing gently to see if the owner might be ‘friendly’ to the trade as I hunt for stock. I might see myself waiting, interminably, for one last lot at the end of a sale then only to be outbid with nothing to show for my efforts at the end of the day. I might remember the life stories told to me by customers over long afternoons or visiting an old dealer on his death bed who was surrounded by gilt-framed oils and eager to deal them on to those paying their last respects whilst they and he still could – but most of all I picture again and again with an intensity that does not dim, the vibrant and atmospheric hustle and bustle of buying and selling at antique fairs across the country. Whether they were of the vetted and stand-fitted variety, small weekly flea markets, showground events as big as a town or held in the middle of the night to suit the earliest of birds, they all felt like the life-blood of the trade and had in common the possibility of unearthing a ‘good find’ at any moment, earning a days wage from informed and eager buyers and like any social encounter, the chance to bemoan ‘the one that got away’ or ‘the good old days’ over a tea when the buying was done. From such a nostalgic perspective then, what follows outlines briefly the emergence and development of antiques fairs as a sub-genre of the British antiques trade and views them as a real driving force of the trade at the time. It serves as an incomplete introduction to a subject yet to reveal much of its history and with a view to assessing the significance of fairs in cultural terms, further discussion of their role and importance for the British trade is warmly welcomed; especially as much of what remains to be unearthed lies intact in personal recollections, anecdote and the contemporaneous ephemera that is scattered across a host of private, institutional and commercial archives. All this potential ‘data’, together with a more comprehensive study of the variety and distribution of fairs, is yet to be collated and interpreted but I believe it to be very worthwhile; writing as someone who relied on both a shop and fairs to conduct business. I feel fairs in their own right were one of the more important developments the trade underwent in the last century and in contrast to the formative pressures shaping the trade in the 19th Century, they are one of the key features making it distinct and different from what came before. Whilst my research is merely a ‘work in progress’, a cultural geography of fairs is emerging, although dates, venues and individuals may change entirely or in emphasis as research in this area develops. Whilst it is possible that markets may predate fairs by some years, so far I have found nothing to contradict the view that The Antiques Dealers Fair at the Grosvenor House hotel and organised by Alex G. Lewis and BADA president Cecil F. Turner in 1934 was the very first antiques fair proper to take place in Britain or elsewhere. Given the accumulation and flow of cultural and monetary wealth through the country in the centuries proceeding it and the recent affirmation that ‘we’ were at the very centre of culture and commerce at the British Empire Exhibition of 1924-5 it is not surprising that London would also be the focus of an antiques industry that traded on the fruits of history and Empire. Although we can speculate that the fair was held to promote the trade in a notable economic downturn, selling exhibitions were nothing new on an individual basis. Lewis and Turners’ innovation was to make the selling of fine antiques a collective event that in a suitable interior was both museum and market place and much imitated later. The Antiques Dealers Fair running annually up to the war and resumed in 1947 would have consequences for a greater appreciation and access to antiques by a wider public in the years to come and with its 1830 dateline, it charted the shifting perception of what constituted an antique in terms of age and quality and appealed to connoisseurs that could still afford to collect period furnishings and object d’art in a time of austerity – although this gradually gave way to fairs that became more democratic affairs and operated at every level and suited every pocket and taste in the decades to come. See http://www.grosvenor-antiquesfair.co.uk/history.html for further information on the origins and history of the fair. The Grosvenor House fair led the way for a while and had the approval of its first royal patron in Queen Mary from 1937-53 but another mainstay of the London scene was soon to emerge when the inaugural Chelsea Antiques Fair was held at the Old Town Hall in the autumn of 1950. Its reputation was also helped by celebrity patronage over the years and British Movietone News promotions which brought it to the attention of an international market and to America in particular and by the 1980s it referred to itself as both the ‘famous’ and the ‘original fair’ which points to the imitation of its up-market and multi-day format and the competition, then, between promoters in a thriving market. Below is an image from British Movietone News reporting on the Chelsea Town Hall Fair from 1954 and is reproduced here with kind permission of the AP Archive that holds copyright for British Movietone media. Meanwhile, in the post-war years fairs began to take root in place, space and season across the British Isles as entrepreneurs and dealers in regional associations promoted and marketed events more proactively and affirmed their regional identity and presence in the market place. In a time of great optimism The West Country Antique Dealers Fair was held in 1951 and in the same year the Kensington Antiques Dealers Association held a fair in its own Town Hall. Whilst London was to see a range of significant fairs in the coming decades, the regions also fared well with fairs at Glasgow in 1965, Bath and Norwich in 1967, Bristol and Edinburgh in 1968 and Liverpool in 1969. These key fairs had both a professionalism and a budget for promotion as all produced accompanying catalogues for their events but it must be assumed that by the 1960s and certainly by the 1970s smaller fairs were mushrooming across Britain in great numbers – as respected promoter Caroline Penman’s association with Brighton Fair from 1959 is an example. See http://www.penman-fairs.co.uk/userfiles/image/details/penmans-history.pdf for more information. The 1970s saw a continued growth in antiques fairs and two of note in London were Earls Court in 1973 (which by 1979 became the International Antiques Fair in recognition of the trade’s global reach) and Olympia in 1979, becoming the Fine Art & Antiques Fair by 1983 and thereby reinforcing another natural association. Fairs expanded in the regions also and in 1977 the first Northern Antique Dealers Fair was held in Harrogate. At the same time more ‘down market’ fairs were being established but the quality was still high by todays standards as the availability of antiques was greater and if London had Alexandra Palace and the Midlands had the Granby Halls, Leicester and ‘The Big Brum’ in Birmingham, the North had Leeds Queens Hall as Edinburgh’s had its Ingliston. These events had hundreds of stalls in cavernous and poorly lit spaces and the fair at Leeds, which I knew well, ran until 1989 until its old tram shed home was demolished. It opened its doors at 6 a.m. on Saturday mornings and ran monthly throughout the year and was typical of many and a magnet for the trade who came from far a field for the chance to buy or sell there. 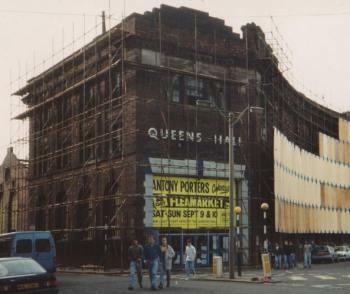 Here below is a picture of the soon to be demolished venue with its last fair still advertised and is a reproduced with kind permission of the owner of the image, Phil Edwards (http://bit.ly/1Esh2hg). When I joined the trade in 1985 Geoff Whittaker had just established the two day International Antique and Collectors Fair at Newark that year and held it each spring and autumn initially. It quickly came to influence the rhythm of the antiques dealers year and confirmed the notion that the supply of stock would flow from local auctions and markets to be ‘saved’ and taken to Newark where dealers who exhibited at fairs such as the democratically-titled Antiques for Everyone in Birmingham would be eager to add to their datelined and soon-to-be-vetted stocks and would always come to buy – and so on into the upper echelons of the trade. It is safe to say that dealers and collectors who operated in every strata of the trade came to Newark at some time or other in the 1980s and 1990s and was typical of a ‘fairs scene’ that flourished in the last decades of the century and in its short history the Newark Showground fair, with its home and international buyers from all over the world, was arguably the culmination of a trading phenomenon that had gained in growing momentum over the proceeding years since fairs first emerged. It only remains to say that antiques fairs in the 20th Century supplemented, perhaps at times competed with, but broadly enhanced a shop and auction based trade and added to the vibrancy of both dealing and collecting. They thus served as a conduit of the supply of goods through the trade and on into private or institutional hands throughout much of the century and warrant some closer examination within the wider scope of study for that reason alone – if not for their value as exciting episodes of social history in the making.